Discussion in 'Music Corner' started by prof. stoned, Aug 21, 2011. 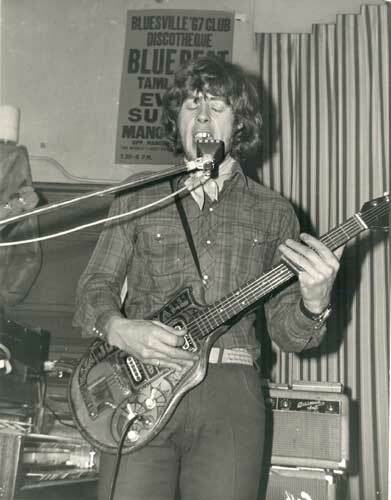 A quick look at the gig guide of Melody Maker or NME could give you serious trouble.Within a few square miles you had to choose between Eric Clapton, then playing with Cream, the Jimi Hendrix Experience or Peter Green who was guitarist with John Mayall’s Bluesbreakers at the time. However when you missed one of those guys on Wednesday you could easily visit them on Thursday as they played in the area anyway. It all happened in the London’s mighty club circuit that had places like the Marquee, the Manor House or Klooks Kleek . Tom Huissen, a 16 year old boy who had swapped the quiet life of a Dutch province town for the mad making turmoil of the West End, bumped literary into this world of wailing Gibson Les Pauls and Marshall stacks. His big love became John Mayall's Bluesbreakers who apart from John on vocals, harmonica, Hammond organ and all kind of weird guitars, consisted of Peter Green on lead guitar, John McVie on bass and Mick Fleetwood on drums. After seeing the Bluesbreakers a couple of times Tom decided to cut short on food and alcohol supplies in order to purchase a little Sanyo reel to reel tape recorder and a couple of tapes. From that moment he taped the band wherever and whenever he could, becoming friends with John Mayall and Peter Green in the process. In those days the Bluesbreakers' repertoire consisted for the greater part of songs that can be found on legendary albums like 'A hard road', 'Crusade' and 'The blues alone'. However the live performances of well known songs like 'Tears in my eyes', 'The Stumble' or 'So many roads' are a completely different kettle of fish compared to the records. John Mayall has always been one to push his guys to the front and give them room to move. Peter Green, a 20 year old bloke from London's East End, took his chances and made his predecessor Eric Clapton forget within a couple of weeks. These live tapes show you why. Here is 'Greeny' at his best. Greeny's superb guitarwork, John McVie's best bitter driven bass lines and Mick Fleetwood's tight drums makes it easy to understand why this embryonic Fleetwood Mac would rise to world fame some 15 months later. After more than forty years a compilation of these tapes is released for the first time. The result is a unique document of a band in the midst of the bluesboom playing the numerous London clubs. Of course this was all before the mega concerts and mighty PA systems of today. Also don't look for the word 'stereo' on the CD-cover. They were simply recorded mono with a small mike. But despite an occasional dropout , the sound is incredible and it's hard to belive that these historic recordings are over thirty years old. Play the cd's and go back to the London bluesboom in the late sixties. Visit or revisit, if you like, the bluesclubs from those days, some of them since long forgotten, and feel the atmosphere. Good thing Tom lived there at the time, eh? Liner notes: Frans ten Kleij (Mr. French), bluesguitarist with 'John the Revelator'. These are the linernotes of 5CD boxset that Tom Huisen (the taper) wanted to release himself in 2009. But as off today, this has not happened. No reason was given but apparently both Mayall's & Green's management objected or could not come to terms. Amazingly, these tapes sound fantastic for an audience recording this old. They easily outdo the official bootlegs of this era (The Diary of a band & Primal Solo's). I'm not one to dig into old audience tapes with C- sound, but I'd be all over this. Five complete sets, featuring both Aynsley Dunbar and Mick Fleetwood and of course John McVie. I really hope this will see the light of day sometime. I would be a crime against humanity if it didn't. Apart from some BBC recordings, the official live albums live album, there are no listenable Mayall live recordings from the 60's as far as I know, and certainly none with P.G. RiRiIII, ruben lopez, jay.dee and 2 others like this. Dang! I've been listening to it via the link and I'd buy it in a heartbeat. That is a bloody sin. Man, Green is on fire. Jaw-droppingly good. Listen to how he eschews the repetitive lines most of his contemporaries would have slathered all over these songs. He uses notes sparingly, until he needs just that expressive push, and then they tumble out in a torrent. Can you tell I rate him pretty highly? O.k., somebody has to track down all parties involved and work something out. This stuff is too valuable to be sitting gathering dust somewhere. Get this material released! Now! I would buy this pronto. apparently it is available. you have to buy another item to get it. i wonder if this guy really has the rights to include it with the sale of his cd? 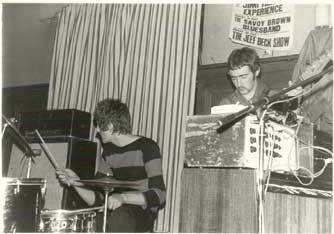 The Marquee tape 27/04/1967 with John Mayall's Bluesbreakers featuring Peter Green is now ready for download. you get an immediate free bonus download of the Marquee tape. For Peter Green fans only! Not for commercial use! New album from John the Revelator comes in a high quality digi sleeve pack with extensive booklet, pictures and sleeve notes. photography by Yara van der Velden. For all the Peter Green fans in the world we have great news. The Marquee tape April 1967 featuring Peter Green is now available!! If you buy the digi-sleeve package album ‘Underway’ you get an immediate free bonus download of the Marquee tape including booklet, back-and inlay cover, CD label. I would buy this without hesitation. He needs to make this a separate release. He's holding people back doing it this way. I agree, I listened to the john the revelator samples and just not that interested in buying it, but the Peter Green I would. Maybe look at it as buying the Peter Green, and the Revelator is free? that was my thought too. it's amazing he has several shows too. i wonder who else he might have recorded back then. I doubt it, its his recordings isn't it? anyway he is British, would Peter Green and Co want to go down the legal route, i am sure he has worked out any differences 'with a gentleman's agreement' and that is why he can only sell them the way he has, i get the impression from the website that he was 'part of that crowd' of that time and it is perfectly legit ? IMO it is probally down to Peter Green's generosity to a fellow less succesful, but still very talented fellow musician. but who knows? Green's business affairs are handled quite strictly. The lawyers have stopped many releases before. On John the Revelator site they make an effort to describe the release as non-commercial and only include it as a download with the purchase of their own CD. I’m not sure if this protects them from legal ramifications but I suspect it might go some distance towards mitigating an action. 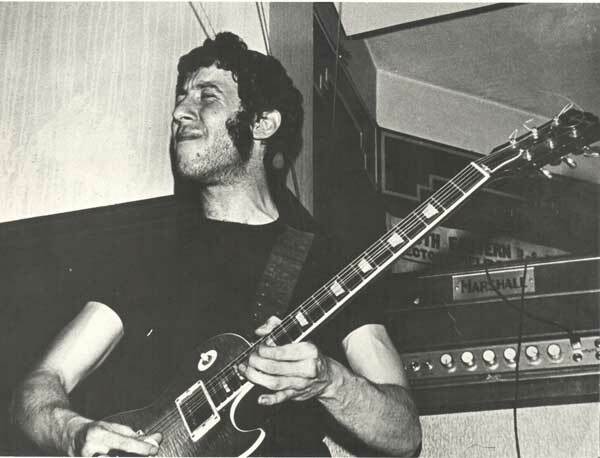 “For all the Peter Green fans in the world we have great news. The Marquee tape April 1967 featuring Peter Green is now available!! Anyway enough about legal speculation. I think RaunchnRoll has the right of it, consider it a Peter Green/Mayall purchase which includes a free John the Revelator CD. I just bought it and I’m listening to it now on cheap computer speakers. Green really is on fire! He plays with incredible passion and aggression. A number of songs are extended guitar workouts and show a side of his playing I've rarely heard. Several of his solos build to incendiary levels. At first blush and on my cheap speakers, the quality seems fine for an amateur recording, better than many I have heard. My thoughts may change when I hear it on my better system. Levels can be a little inconsistent between songs and at times, cymbals are a bit in your face. Overall the instruments are reasonably balanced, Mayall’s vocals are a little recessed but Greens guitar is out front and his Les Paul/Marshall tone is … well really, one of the greatest tones in guitardom. It’s a very high energy set, it’s unfortunate that there isn’t more live material from the Bluesbreakers period. Opinions may vary, but for me it is a piece of history definitely worth the purchase. Link is dead, but would love to hear this. the link is ok. you can hear a sample there. Come on - if John Mayall's people are reading this - pull your fingers out. You issued the poor sounding Historic Live Shows Vols 1-3 a couple of years back and while I'm happy to own them they are not a patch on this Green stuff. Surely someone can make this happen? John Fell, jay.dee and PacificOceanBlue like this.